For decades, Harvey Weinstein’s name has been synonymous with the Academy Awards, and his influential fingerprints have been all over the Oscar season. 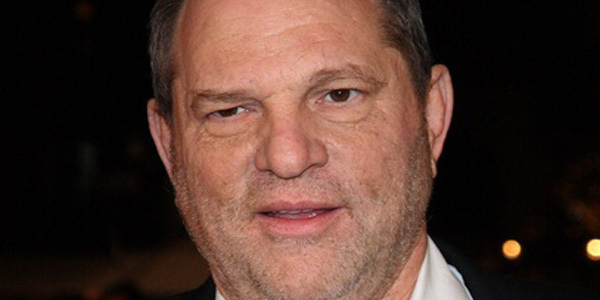 Weinstein annually produces, distributes, supports and guides quality films from the silver screen to the Oscar podium. And while Weinstein has earned a reputation as being a master of the awards campaign, he’s also (first and foremost) a movie lover with an appreciation for our industry’s rich history. That passion is on display in Michel Hazanavicius’ “The Artist” and Simon Curtis’ “My Week With Marilyn,” two films distributed by The Weinstein Company that are being touted for Oscar consideration this season. HollywoodNews.com: You have said in interviews how much you respect Marilyn Monroe, and how her remarkable life was an inspiration for you to support “My Week With Marilyn.” Yet Eddie Redmayne’s eager character, Colin, and his enthusiasm for the movie industry reminded me of you. I’m wondering how much that character served as a hook for you, as well. Harvey Weinstein: I think that was the hook for me, Sean, for getting me into the story. The idea that there was this 23-year-old boy with his first job on the set of a movie, and he’s working for Laurence Olivier, directing Marilyn Monroe, and Marilyn Monroe’s husband, Arthur Miller, has a fight with her on their honeymoon, walks out, the boy’s there to comfort her, and little by little a romance ensues … that is everybody who ever was male and grew up in the movie business, that was our fantasy. And the romance is sweet. She says to him, “I’m 30 years old. I’ve been married three times. I haven’t had a date since I was 16.” And he’s a young boy who wants to court her and take her out on a date. She thinks she can live with him, and he can take her out of the viper’s nest that is Hollywood. It’s a true story, and it’s just one of those charming slices of life. HollywoodNews.com: I also appreciated how it didn’t shy away from the ugly warts that can surface behind-the-scenes on a movie set, though. Well, I think that’s important, too. I always like to do snapshot movies – how certain things are done. I don’t want to tell William Shakespeare’s biography, but I’m interested in how he did “Romeo & Juliet,” and we ended up with “Shakespeare in Love.” Same with James M. Barrie and “Peter Pan” and our film, “Finding Neverland.” Last year, we focus on this incredible incident about the King of England having a stutter, and a speech therapist who happened to be an actor but knew how to cure him. This was another snapshot into one of the most famous actresses in the world. Probably the most famous actress ever. And I thought, “What a way in; through the romance.” Let’s see her longing for innocence, see her longing for joy. And also see how funny she was, which I don’t think most people get. And also how smart she was. So yes, I like the snapshot approach. I’m not good with the thousand-page biography. HollywoodNews.com: Marilyn is referred to as American Royalty in the film, and she absolutely was just larger than life. When you think of a contemporary artist, someone we might be fascinated with decades from now, who do you think of? This time, they say, “Yes, yes, yes, yes, yes.” And we kept wondering who cut the red tape. You said “royalty.” Did you know that in 1956, when Marilyn Monroe was making the movie that we deal with in our film, there was a two-day break. On one of the nights, the Queen invited her to a Royal Premiere. There’s footage on YouTube of Marilyn and the Queen getting along famously. Obviously there’s only a piece of it that they’ll air, but they got along amazingly well, these two. And the irony is that we believe the Royal family removed the red tape. And even stranger was that Marilyn Monroe and the Queen were the same age. When you said “royalty,” it just reminded me of that story. 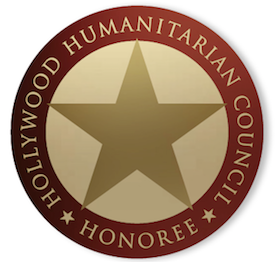 HollywoodNews.com: Yesterday was a very important day, with the Indie Spirit noms and “The Artist” earning top honors from the NYFCC. You know that this is a very long season, so I’m curious if there’s victory to be had in the nominations, or is your eye always on the big Oscar prize? Well, look, if you win the New York Film Critics Circle award for Best Feature for “The Artist” or Best Director, and Meryl Streep wins Best Actress, and Michelle gets nominated for “Marilyn,” that’s a great day. There’s no way around it. These are movies that profit from the Good Housekeeping Seal of Approval, which is what I think critics’ awards are. Look, I’m thrilled. It still is as exciting as it always was. I’m not underselling any part of what a great day yesterday was. HollywoodNews.com: We do appear to be in a cycle where our films are celebrating the creative process, from “Marilyn” to “The Artist.” It harkens back to “Shakespeare in Love,” and other films that looked back to honor past works of art. Do you think it’s time the Academy did it again? Well, I hope so. I have a couple of movies in “The Artist” and “Marilyn” that do just that, so selfishly, I’ll say yes. What I always hope is that the best movie wins, and usually it does. I don’t even think “usual.” I think it always does. Even when we’ve lost, we probably deserved to. But it is a great year. “My Week With Marilyn” is in theaters now.